Texas Charter Bus Company services most major cities throughout The Lone Star State with a large network of buses to meet the needs of all groups. Travel to Dallas, Austin, Houston, San Antonio, and beyond with a comfortable motorcoach operated by a professional driver. 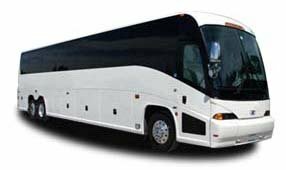 Reserve a full-sized charter bus for your upcoming school field trip to The Alamo or choose a model of minibus to shuttle important guests to a wedding service or special business meeting. No matter what the occasion may be, we have access to the best type of bus for your Texas group event.